ACS operates a fleet of purpose built, fully equipped CCTV camera inspection vehicles, providing professional downhole inspections services Australia wide. Our fleet of CCTV Inspection vehicles are equipped with advanced Colour downhole cameras providing high quality video inspections with hole diameters from 25mm – 2000mm and Depth Capacity Upto 2000m. 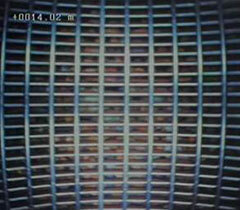 The use of a downhole camera prior to commencing any rehabilitation work enables the work to be closely targeted to the area requiring the most attention. A before and after video log, enables the client to see a visual record of the effects of the work that has been carried out.